March 22, 2019 (Ezega.com) -- The state-owned Ethiopian Broadcasting Corporation (EBC) got new board members, according to the Ethiopian News Agency. The House of People’s Representatives (HPR) of Ethiopia just approved the appointment of six board members yesterday. The board members were nominated by the Prime Minister of Ethiopia Abiy Ahmed. The new board was approved by majority vote, but with 10 voting against and 28 abstentions. March 8, 2019 (Ezega.com) - The Amhara regional council accepted the resignation letter submitted by Gedu Andargachew early this morning, according to FBC news. In his place, the Amhara regional council elected Dr. Ambachew Mekonnen as Chief Administrator of the Amhara Regional State. Prior to his newappointment, the new Chief Administrator Dr. Ambachew Mekonnen had served as Infrastructure and Urban Development Advisor to the Prime Minister. The news emerged in the last day of Amhara Regional Council’s congress on Friday. 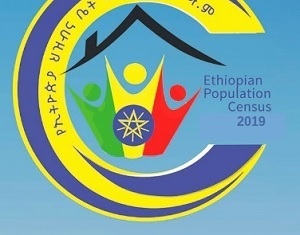 March 7, 2019 (Ezega.com) - The Amhara Regional Council gave a sobering assessment of the security situation in Ethiopia, and in and around the Amhara region, in particular. The 12th regular council conference was held yesterday in Bahir Dar city, the capital of Amhara region. The council saw the developing situation in Ethiopia as grave and urged all Ethiopians to work towards peace and dialogue. Speaking during the conference, regional parliament speaker Worksemu Mamo said regional leaders of Ethiopia need to observe tolerance. February 17, 2019 (Ezega.com) - The Tigrayan People's Liberation Front (TPLF) celebrated the 44th anniversary of its foundation today in Mekelle, Tigray, and other cities around the world. Marking the occasion, the organization released one of the strongest statements it issued to date criticizing the way the country is going under the leadership of Prime Minister Abiy Ahmed. The Organization all but condemned what it called the erosion of constitutional order in broad day light and vowed that it will not sit idly while the country is going into anarchy. February 17, 2019 (Ezega.com) - Ethiopian National Defense and Federal Police Forces have entered parts of Amhara regional state to stabilize the deteriorating security situation in the state. The Amhara regional administration formally asked the Ministry of Defense and federal police forces to help stabilize the situation in western and central Gondar. The Ethiopian Army and Federal Police has taken over the security matters of the two zones, according to the report. February 16, 2019 (Ezega.com) - The long-time critic of the Ethiopian government and Portuguese member of the European Union (EU) Parliament, Ana Gomes, arrived in Addis Ababa today. She was European Union's chief observer during the 2005 disputed Ethiopian elections. She became very critical of both the 2005 Ethiopian election and the government of Prime Minister Meles Zenawi in general since 2005. 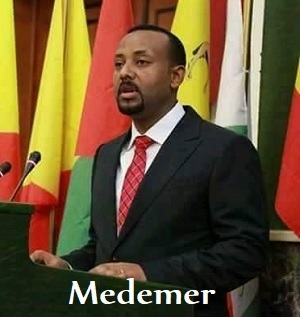 February 15, 2019 (Ezega.com) - Disagreement over resources between the various ethnic groups in the country has been the source of conflict and mass displacement, but shaking up the government which is led by reformist Prime Minister Abiy Ahmed risks intensifying ethnic friction according to experts. Tewodrose Tirfe, the chairman of the Amhara Association of America, a U.S based advocacy group says presently ethnic tensions are a fundamental problem for Ethiopia. Millions have been displaced in a humanitarian crisis that could get out of control. February 14, 2019 (Ezega.com) - The chief of staff of Ethiopian Defense Forces, General Seare Mekonnen, said Ethiopia's National Defense is carrying out deep institutional reform to build a well trained, strong, and professional army, according to FBC news report. The chief of staff said this on the 7th Ethiopian Defense Force Day in a panel discussion that was held in Adama city, Oromia regional state. The Ethiopian Defense Force Day has been celebrated every year since January 9, 2019.